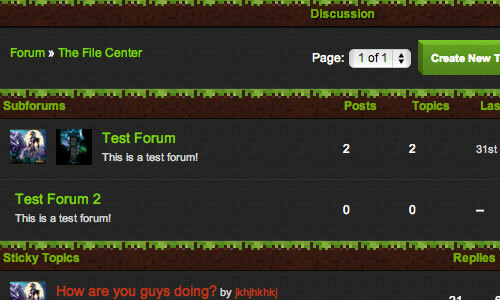 Grow your community huge with our powerful Minecraft website hosting. No coding required, get set up in minutes. Our platform is used by thousands of gamers. It rocks! 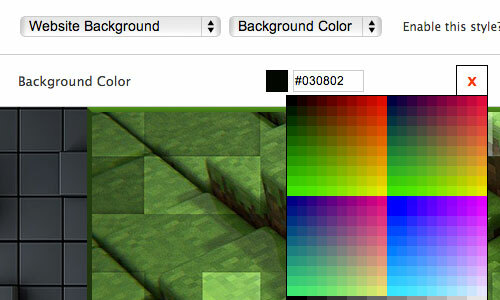 Choose a Minecraft Template from our growing collection. All our templates are fully customizable with super easy to use editing tools. Editing your Minecraft Website has never been so easy. Use our WYSIWYG (what-you-see-is-what-you-get) theme builder to customize your website to your exact requirements. No two websites look the same! Build your own social network. 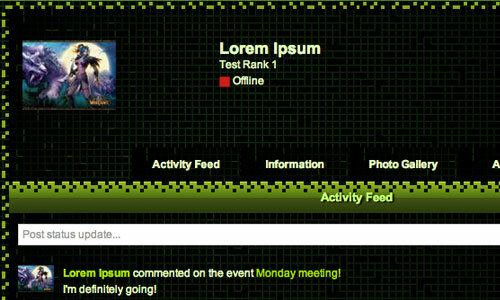 Our websites come packed with loads of cool features like forums, activity feeds and instant chat messaging! Your visitors can stay up to date with your latest news, events and on-goings. 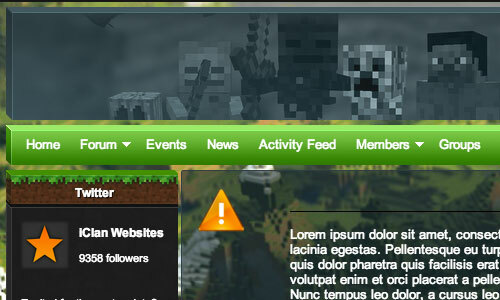 Keeping your website up to date is simple and straightforward, anyone can manage a Minecraft Website! Customize your own recruitment application form. Do you have requirements & rules? No problem! Our website platform lets you build your own recruitment system with approve/reject functions. Running a Minecraft server and recruiting members is demanding - our mission is to simplify the recruitment process, leaving you to game instead of managing everything. Our websites come packed with really cool features. Try it for free! Easily add your own domain name to your website. Look professional and increase popularity. Give your members certain levels of administrator capabilities and share work load. Post announcements to different members, based on multiple triggers. Schedule events and know who's turning up with the signup sheet. Turn your website into an e-commerce store. Payments securely processed by PayPal. Translate your website into multiple languages, or just customize website text to your own requirements. 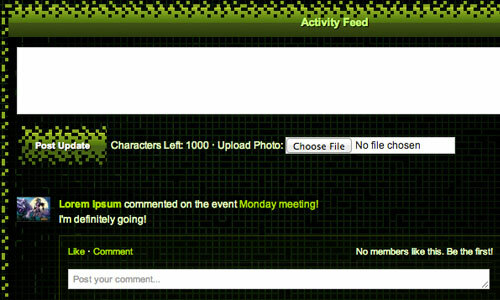 Our websites come with forums built in, features include file attachments, sub-forums, polls & full moderation controls. Add your own smileys to your website. Message to parents: keep your website suitable for all ages. Full moderation controls for member account registrations. You control who has access to your website. Design your own customizable member profiles. Add additional fields for your members to fill out. Organize your members into groups, let certain members communicate with other members. Assign ranks to your members. 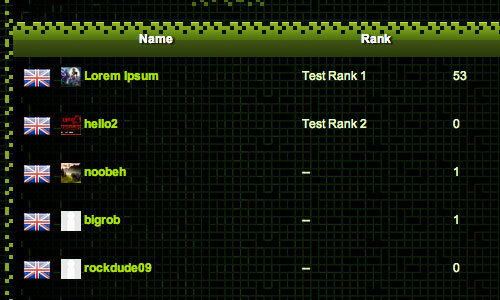 Ranks are used to control access to certain parts of your website. Ban your members by account or by IP address. Award your members for outstanding achievement! Our themes are fully customizable in our flagship theme builder. Just click and select the design you want, anyone can do it! Design your own customizable email forms, such as recruitment, feature requests or contact forms. Create your own galleries, share screenshots and other images! Need our premium features? Plans start on $4.99 per month. TeamSpeak 3 or Mumble slots! Servers in US (east, central, west), EU (central, east) & Australia. Upgradable to 400 slots! Copy and paste files onto the internet. Share your videos, picture and other files with the world. Remove annoying advertisements from your website. Add your own HTML widgets. Edit the main HTML template. Keep your members up to date with email newsletters. You're our priority, 24/7. Need help fast? We'll get back to you promptly.